Home / News / SRI LANKA / WORLD: Under which law did the Magistrate make the order to deport the lady tourist with the Tattoo of Lord Buddha? 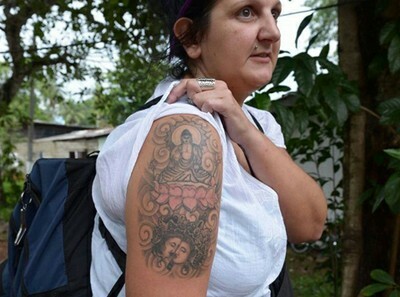 SRI LANKA / WORLD: Under which law did the Magistrate make the order to deport the lady tourist with the Tattoo of Lord Buddha? According to reports a 37 year old British nurse who arrived in Sri Lanka this Monday (21st April 2014) was taken by a taxi driver to a nearby police station where, according to her, she was harassed by policemen who demanded money from her. She had arrived at the Airport and the immigration authorities had allowed her to enter the country. She had earlier visited Sri Lanka and several other Buddhist countries and followed meditation under the guidance of Buddhist monks. When the police were unable to extract bribes from her she had been produced before a Magistrate who according to her did not provide to her any opportunity to speak and then made an order to immediately deport her from Sri Lanka. Subsequently she was deported to New Delhi, from where she has arrived earlier. One straightforward question that arises from this incident is as to under which law did the Magistrate make an order for deportation. In any case no person can be deported without giving an opportunity to have the charges explained and having the opportunity to answer the charges. This tourist had a right to object to the deportation order and it was the duty of the Magistrate to provide that opportunity. Further, after listening to her objections it was his duty to have an inquiry into alleged grounds on which the request for a deportation was sought. It was also the duty of the Magistrate to provide her the opportunity to retain a lawyer or provide one, by way of assignment by the Court. It does not appear from the reports that the Magistrate had followed any of these procedures. The allegation, as it appears is, that the tattoo she had on her upper arm depicting Lord Buddha on a lotus flower could have created a public commotion and that alone was the grounds on which the police had sought a deportation order to have her removed from the country. There is no indication that there had been any complaint by any person, to the effect that the reverential exhibition of the Buddha’s image on a lotus flower could cause a commotion amongst the public. Thus, the police have brought on the allegations on their making and initiative. It was the duty of the Magistrate to question the police about the basis of the allegations and to inquire whether there were any grounds at all, to expect such a commotion to take place. If there was any possibility of such a commotion without any legitimate basis, it was the duty of the police and the Magistrate to take all steps necessary to protect her. It seems quite clear that there appears to be a link between this taxi driver from the airport and the police for extraction of bribes from tourists arriving in Sri Lanka. It is quite possible that there had been other victims of such exercise of harassment. It was when this attempt failed that the police proceeded to make this ludicrous allegation that the exhibition of such an image could cause a public commotion in Sri Lanka. It appears quite probable that after having found no grounds to cause some fear in the tourist, and thereby to demand bribes failed, the police found flimsy grounds to charge her with, on the basis of the tattoo she had exhibited on her upper arm. What should in fact cause a commotion is the manner in which an unscrupulous taxi driver connived with the police so as to manipulate the law for harassment and thereby used that for the purposes of extracting bribes. It is this state of lawlessness that should alarm everyone. Equally the manner in which this Magistrate has acted should also be a reason for expressions of public anger. The duty of a Magistrate is to protect all who comes before him, and not to be a pawn at the hands of the police for machinations for extracting bribes. The Magistrate and the policeman involved in this incident including the officer in charge of the relevant police station should be immediately suspended from their positions and brought to an inquiry. That is what would have happened in any country where there is some respect for the rights persons including those who are visiting as strangers to the land. To deny hospitality to a tourist and to behave in this ugly manner should not go unpunished. However an even more serious issue is the right for the respect of religious expression of any person of whichever religion it may be. It is the general and usual practice amongst many persons to make some public expression of their religious beliefs by way of various methods. Wearing ornaments with some religious symbols is quite a common practice of many persons. These are matters of private beliefs and every person deserves to have their private expressions of faith and love to be respected. 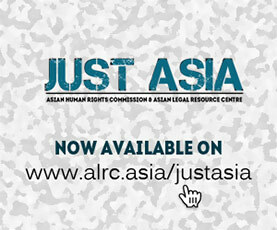 This is not an area where any government has any jurisdiction. This is an area of inviolable rights of individual persons. As this particular image has now been publicized by international media we have had the opportunity to having a look at the particular image that is depicted on the said tattoo. It is a beautiful Buddhist image and by no stretch of imagination could any reasonable person say that such an image could manifest any kind of irreverence to Lord Buddha. In fact, it manifests that the bearer of the image carries a deep respect for Buddhism. The action of the police and the Magistrate would without doubt bring tremendous disrespect to Sri Lanka. It is not unreasonable for any person to think that a country where lawful authorities could behave in the manner the in which police and the Magistrate has done, and on behalf of the Government of Sri Lanka is weird and crazy. Of course all this happens in a political environment where impunity is guaranteed to all violators of human rights. It would not be a surprise if this magistrate and policemen escape without any kind of punishment for the manner in which they have violated the law and brought disrepute to the people of Sri Lanka. Today’s papers also carry pictures of a commuter being severely assaulted by the police at the Colombo railway station; his face filled with wounds, his shirt stained with blood. This picture is now available to the public thanks to the efforts of the journalists. The police who have come to remove some obstacles put on the railway tracks by some workers who are making certain demands have assaulted this innocent commuter who has just arrived at the station to travel back home. If the police came to remove the obstacles put on the railway tracts, they should have done so and returned as there was no resistance for such removal. But that is not the style of the Sri Lanka police these days. There has to be some persons to be brutally assaulted and some blood to be shed, if they are to be satisfied. It is these matters that should be worrying the Magistrates and others concerned with the law, and not tourists and their tattoos.